Furloughed and unpaid federal government workers are finding themselves worrying about yet another basic need: food. At least one local food bank has stepped up to help those affected by the shutdown. With no end to the shutdown in sight, the charity is counting on being there for the long haul. The organization hopes to provide food for 1,500 furloughed employees at Miami International Airport, 900 at Fort Lauderdale-Hollywood International Airport and 200 at Palm Beach International Airport. Workers at Port Everglades and the Port of Miami will also receive food, Vatske said. People can help in three ways: By donating food, money or volunteering to sort food at the nonprofit’s main warehouse in Pembroke Park. People can drop off items Monday through Saturday from 8 a.m. to 5 p.m. at the main warehouse in Pembroke Park at 2501 SW 32nd Terrace. 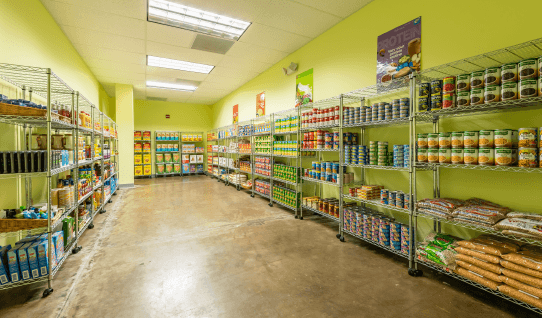 Cash donations can be made online at feedingsouthflorida.org. To volunteer, go to the website and register.